India and a number of other developing countries have benefited greatly from the business process outsourcing (BPO) industry. Western companies are outsourcing various non-core tasks, from IT work to call-centre operations, to these nations where labour costs are low but the needed skills are not. As Africa awakens from economic slumber, can the continent position itself as an outsourcing destination? 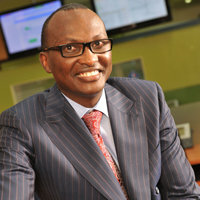 Michael Macharia, CEO of Kenya-based IT company Seven Seas Technologies, says African governments can play an important role in stimulating the outsourcing industry. eVentive, an IT company with offices in the US and Ethiopia, has been successful in attracting outsourcing work to Africa. Its Ethiopian staff have developed technology solutions for a number of large US firms. It also runs a small domestic call-centre for Ethiopian Airlines. eVentive CEO Yemiru Chanyalew and his partners have been involved in the IT industry in the US for many years, but saw an opportunity to outsource work to Ethiopia. Chanyalew says it is much more cost effective to do software development in Ethiopia than in the US. He notes that there are many highly qualified Ethiopian IT graduates, often with two or three degrees, that are unemployed. Hiring these graduates can be up to eight times cheaper than it would cost in the US. According to Chanyalew, African governments should put in place the necessary legislation for the outsourcing sector to thrive, including laws that ensure the protection of data, which will make foreign companies feel more secure to outsource work to the continent. Africans must first ensure that they people running the government are educated enough, exposed enough to the latest trends in the world, and most of all, they should be people who have their citizenry at heart. They must care enough to really want to provide job opportunities to its people. Unfortunately for Africa, most of our government people do not meet much of these criteria. Then therefore, African entrepreneurs should pick the challenge and have mirror companies set up in the countries that will start the flow of Outsourcing Business to Africa. As they will be pioneers, they have to ensure that they represent Africa in a professional manner, such that other companies and countries can look to Africa destination for outsourcing. The governments have to ensure also that there is rule of law. To me, the greatest impediment to investment in Africa, and bringing business into Africa, is the perceived notion and view or lack or rule of law in Africa. Our judicial systems fail to help uphold the laws of the land, bringing uncertainty, which is never good for business. Michael Macharia, CEO of Kenyan IT company Seven Seas Technologies, says that for the industry to take off, African organisations first need to start using outsourcing services themselves. “We in our own markets don’t consume BPO. We are expecting that international customers consume our services as the BPO industry. It has to start with our own market consuming BPO services,” he said during a session at the recent World Economic Forum on Africa, held in Addis Ababa. He said that governments could play an important role in stimulating the BPO industry. He suggested the creation of ‘citizen service centres’ where people could access information, as opposed to having to stand in long queues at government offices. “That in itself would create 10,000 BPO jobs,” Macharia noted. He added that governments should insist that large foreign investors relocate some of their outsourcing work to Africa. The role of African governments in this cannot be emphasized enough. They are responsible for creating a suitable environment for business, within which the private sector will be able to come up with innovative ways to attract business into the country. Its therefore paramount that the African people vet their leaders and make sure they are up to the task. The days of Africans just depending on subsitence farming are gone, the population demands modern solutions that can sustain and grow with it. US conglomerate General Electric played a critical role in kick-starting India’s outsourcing sector. The Wall Street Journal reports that in 1989 legendary GE chairman and CEO Jack Welch visited India for a sales call. He hoped to sell products such as jet engines and plastics to the Indian government. However, during a meeting with government officials, it was Welch who got pitched. The Indian government offered to sell software to GE in order to get its emerging technology sector off the ground. “If I kiss your cheek, what do I get in return?” Welch reportedly replied. In this way GE played a significant role in shaping India’s outsourcing industry. With an abundance of relatively cheap labour and growing connectivity with the rest of the world thanks to a number of undersea fibre-optic cables coming on-stream, Africa has an opportunity to become an outsourcing destination. However, the private sector cannot do it alone and needs government support. Its up to African governments, and African people to sit and realize that for them to be a success story just like the Asian tigers, they have to seize the opportunity and make the best of it. Now that the Asian economies have grown, manufacture of goods and services will become more expensive, businesses will now have to look for cheaper sources of labor, that has a high abundance on resources and raw materials…and where else could that be if not AFRICA!